Once again we are looking for Wiki Editors, if you want an account please let me know. Thanks. BVEStation Network News / Welcome to the new BVEStation! Welcome to the new BVEStation. Please bear with us as we continue bringing services back online, this will likely be happening within the next few days as the internet catches up with the changes. The downloads section is still undergoing work, and we will get it back online as soon as we can. Again we thank you guys for your patience. So you may be wondering whats new, after all the forums still look and feel the same. Here is a list of whats new. Faster - BVEStation is now hosted on its own high speed servers, this means navigating and downloading from BVEStation is insanely fast. Local - We hear you New York! Most of users are located in New York City, so that is where we are now. BVEStation's high speed servers are located in New York. Downloads - Our biggest feature, we've already mentioned how much faster we are, but now we are opening it up to everyone. Anybody, and everybody can now upload their routes, trains, guides, and objects to BVEStation using our brand new Downloads system. Create it, and share it instantly. Comment on them, rate them, add photos to them. The new Downloads section has more features and is more intuitive than ever. News - Our new homepage shows you what matters the most, all the biggest news in the world of BVEStation/BVE/ and even Train Simulator 2015. Click to toggle between what you want to read. Design - Finally, if you haven't already noticed, and have gotten a preview of, we've redesigned BVEStation for 2015. Assessed by professional designers, BVEStation is now more modern than ever, and we will continue to make refinements as we go. Stay tuned for more, with the new releases, and a new website, we're starting 2015 with a bang. BVEStation Network News / Happy New Year! On behalf of the staff at BVEStation, we want to wish you all a Happy New Year! For anyone that has Steam, Feel free to join the BVEStation Steam Group! 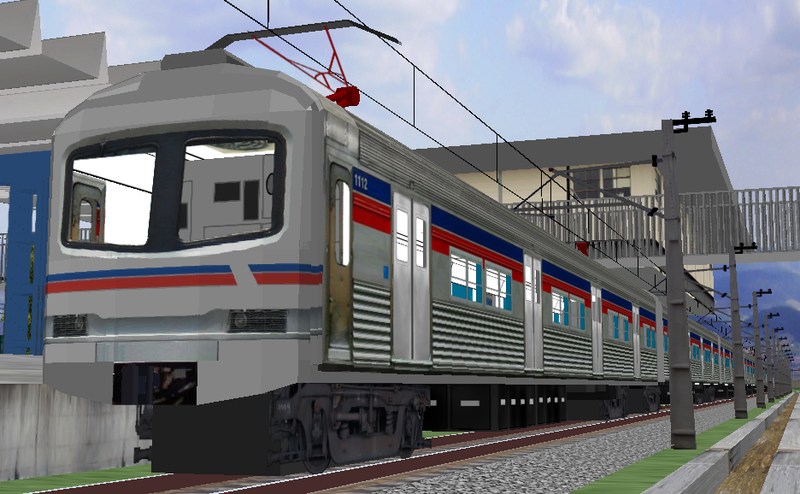 Just in time for Christmas, Fan Railer has released his Long Island Rail Road & Metro-North Railroad Bombardier M7 EMU Pack V1.0 for OpenBVE. The staff at BVEStation would like to wish everyone Merry Christmas, and Happy Holidays! For the guys that have TS2015, I'm wondering if you were to buy the Steam Edition again, will you get another copy of the game, or will the game automatically fill in the DLC's that were part of that package? BVEStation Network News / BVEStation Forums gets a brand new look! Just in time for the holidays, we've updated the BVEStation Forums giving it a brand new look to bring us into the new year. The rest of the website will be updated to this brand new look within the coming weeks. Let us know what you think and give us your suggestions. Enjoy! We are sad to inform everyone that Phantom909 or better known as Joe in the NYCTA BVE/NYCTBA community has passed away. Without him, we would not have this community and others like it here today. BVEStation's logo on the homepage will be monochrome for several days in his memory, and we thank him for fostering the community of developers, and creating new ones. He will be missed. Art & Graphic Design / My latest developments! Hey guys, just showing off my latest developments. I was recently approached by a team of Brazillian OpenBVE developers who would like to feature their content. Their content consists of the transit system located in Rio De Janiero, the 2nd largest city in Brazil, and its surrounding systems. Specifically the Rio de Janeiro Metro, and SuperVia commuter rail systems and more. Give them a visit today, and expand your BVE content collections. Station Talk / Looking for Portuguese speakers/translators! Hey guys, BVEStation is currently looking for a volunteer to help us interact, and translate content from a Brazilian OpenBVE Community. We would love to partner with them and feature their work! You will basically be our ambassador Thanks! After a long hiatus from BVE/OpenBVE development, co-developer of the OpenBVE project Anthony Bowden has resumed development of his long and highly anticipated routes from the UK. 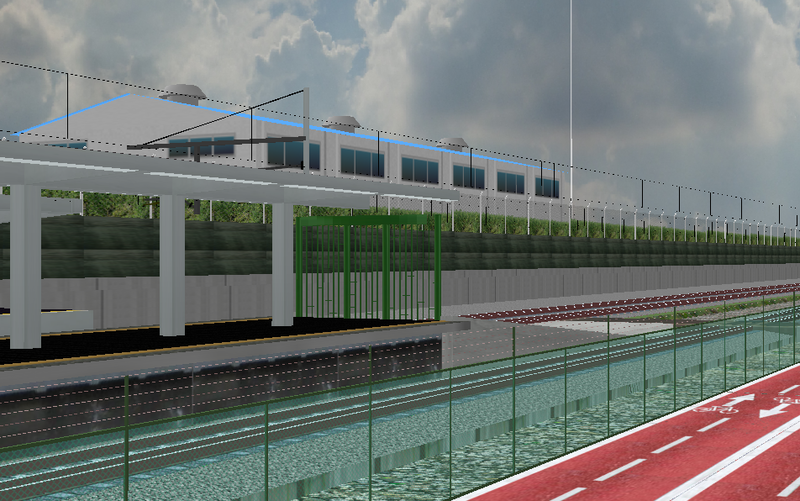 His blog indicates that he has continued development on the Watford Junction to Rugby route, which will feature more advanced safety systems, both on the track and train with the UkTrainSys plugin and enhanced visuals to fully take advantage of the OpenBVE system. He too is looking for help on development, and therefore has called for contributors to help him. Check out his blog for more information on his developments. As with some of the (really old) posts on the forums regarding a new update of OpenBVE somehow breaking their games, you can now download older versions of OpenBVE in case you overwritten your old copy. These older versions are essentially the same codebase as these old versions, but had the Multiplayer Extension added, and then removed again (for this purpose). Let me know if a multiplayer component that was possibly left in the source could be causing any instabilities to the game. Also if anyone has an older copy of OpenBVE with the source, it would be great if you can send it to me so we can grow this archive of older versions. Any other instabilities or issues are likely because you are running the older version! I have searched in many places and couldn't find older versions, so I hope this can help some people out, as it certainly has helped me, when I upgraded to the version 1.4.x series. The page with the downloads is in the link below. We currently have v.1.2.3 - v1.4.2, the files are 7zipped. As always, no warranties, not responsible for anything that happens to your computer, open source etc.. applies here. Enjoy! While surfing the internet, I happen to come across this simple but rather addictive game called Mini Metro. Don't let the simple graphics fool you! Its a game where you simply connect "stations" to create "lines". Create them well, and you'll have a system that works and doesn't get overcrowded. I'll be waiting to see what the full version of the game brings.